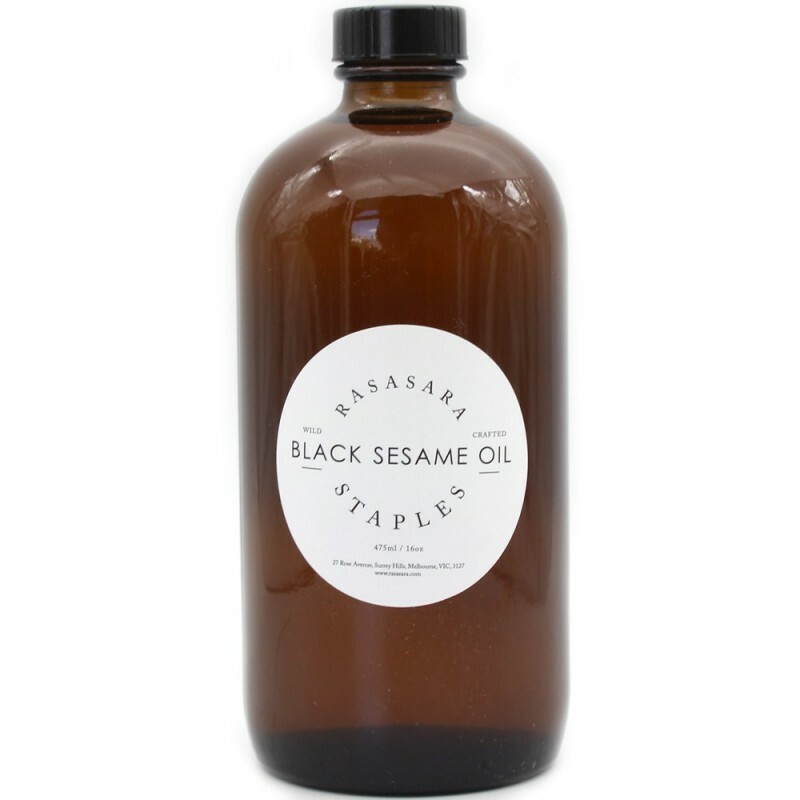 A staple in Ayurvedic tradition, this 100% wild crafted black sesame oil is best used as a body moisturiser, offering warming and detoxifying effects, while it's rich in fatty acids. Soothing and reducing the prevalence of Vata, without aggravating Kapha, it is known to promote stability, strength & softness. Packaged in a large reusable amber glass medicine bottle. In a reusable, recyclable jar, creating less trash for landfill. 100% wild-crafted black sesame oil. 475ml. Packaged in a reusable and recyclable amber glass bottle.